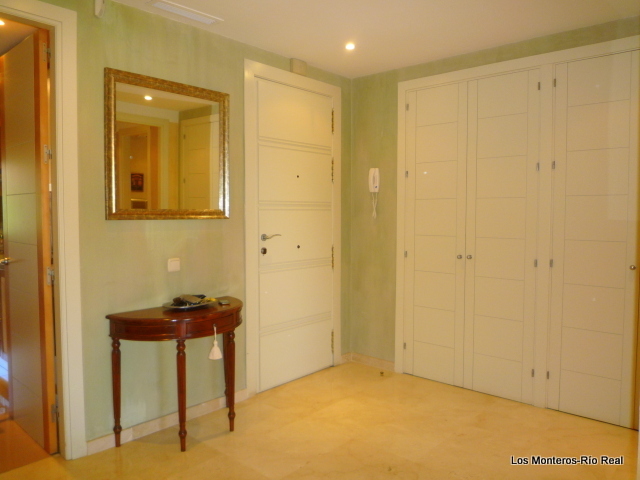 Welcoming entrance foyer, that opens into your living/dining room with wall to wall doors that open into your terrace/porch. 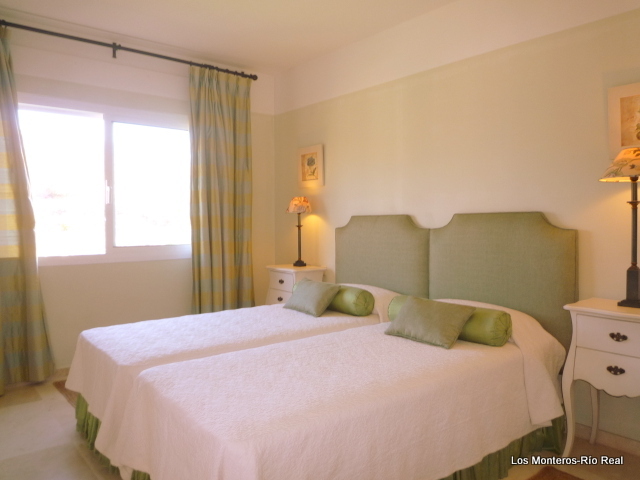 A bright sunny room with lovely views of the landscape garden, pool and mountain, all facing South West. 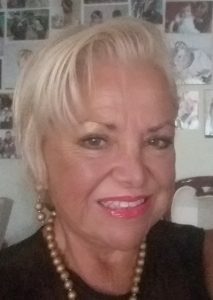 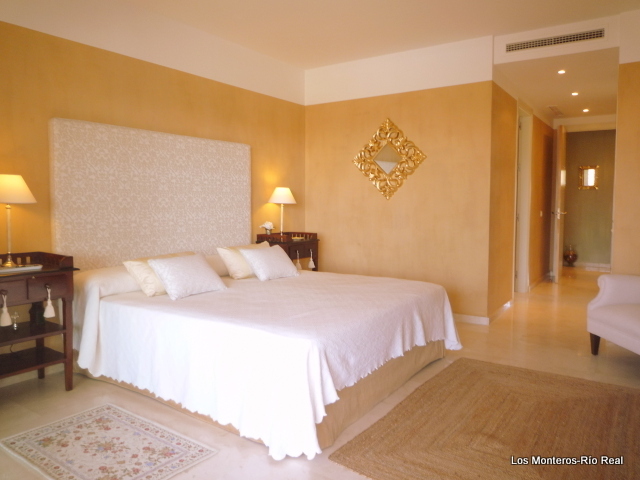 3 Generous size bright sunny bedrooms + office , all with in-suite marble windowed bathrooms, the master math with separate shower and large Jacuzzi bath tub with fabulous views, radiance floors and heated towel rack. 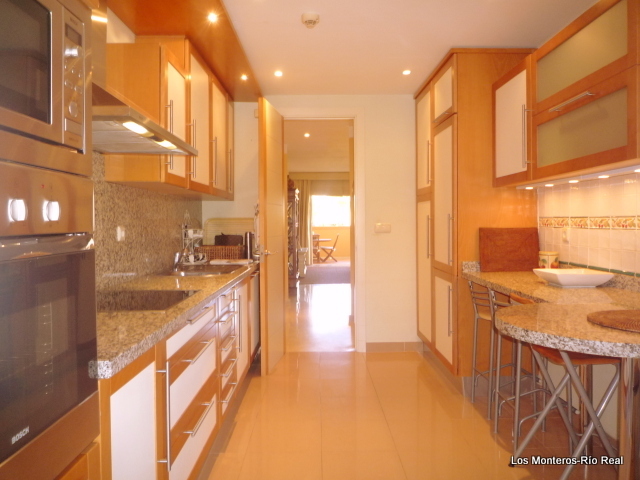 Ample windowed kitchen comes completely furnished with top of the line Bosch appliances, next to it the laundry room, central AC and heat. 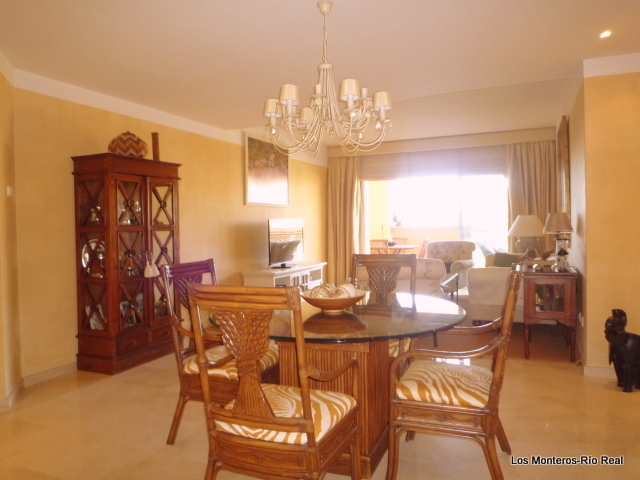 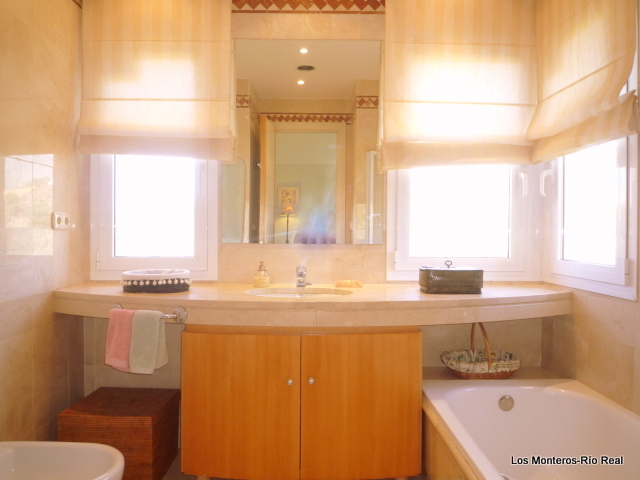 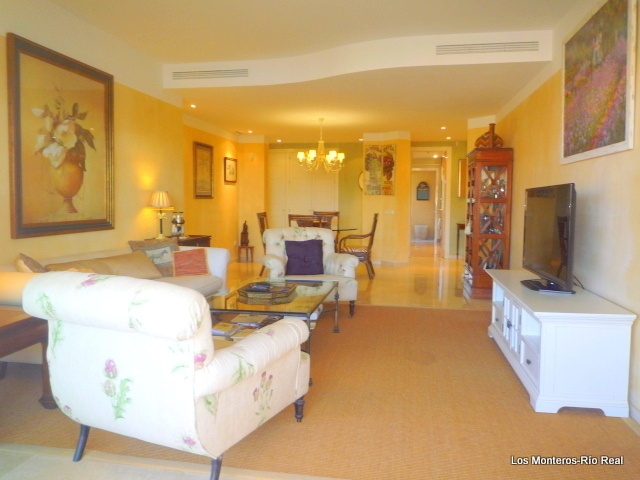 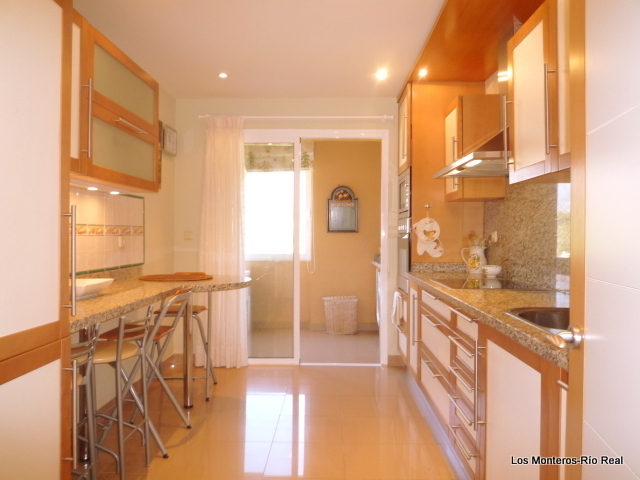 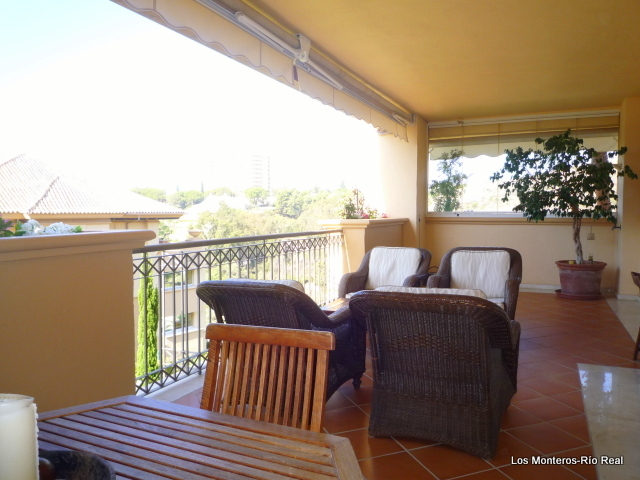 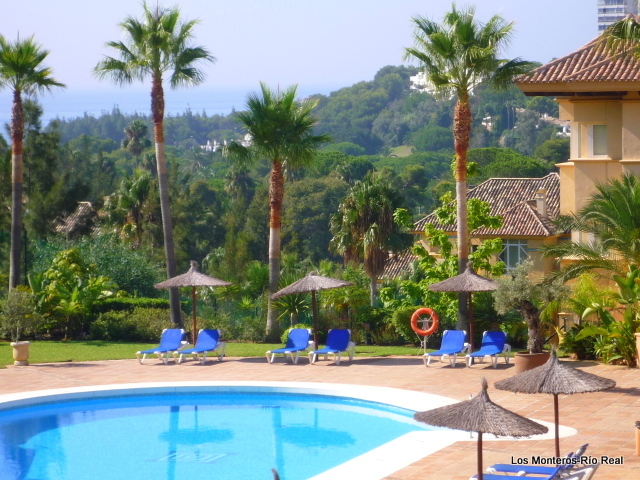 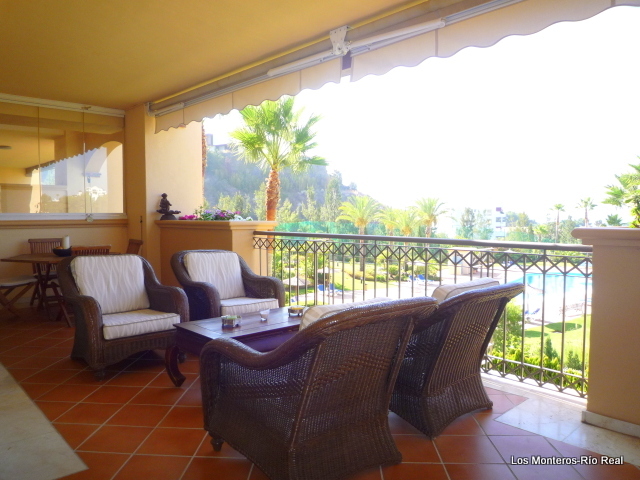 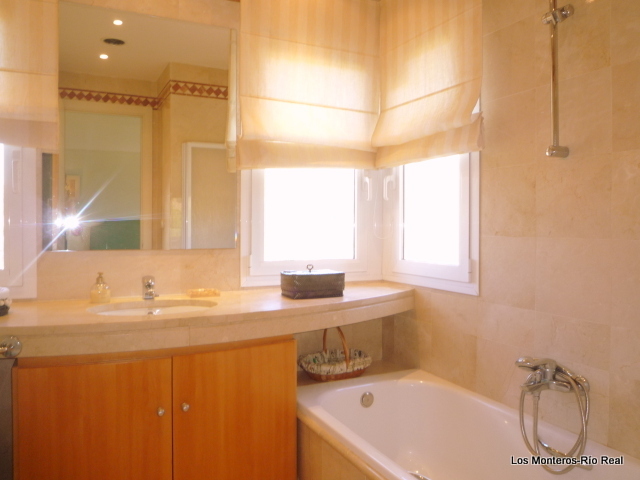 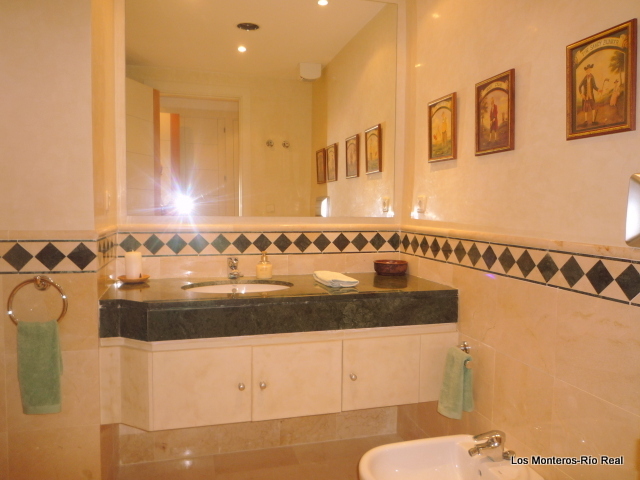 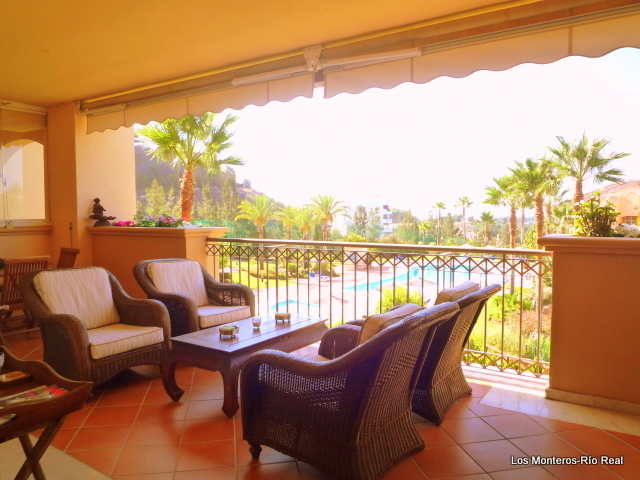 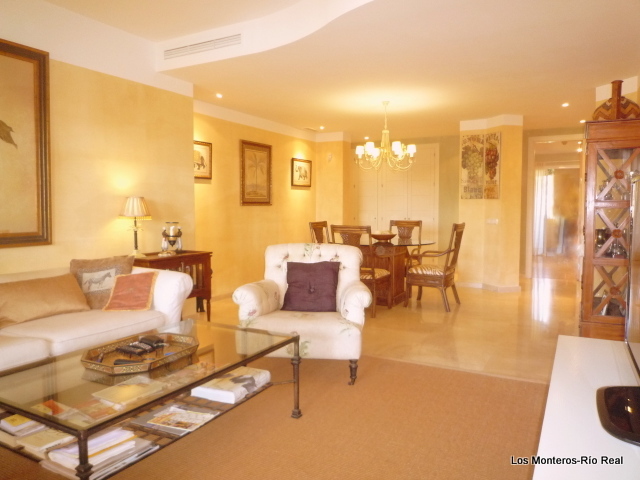 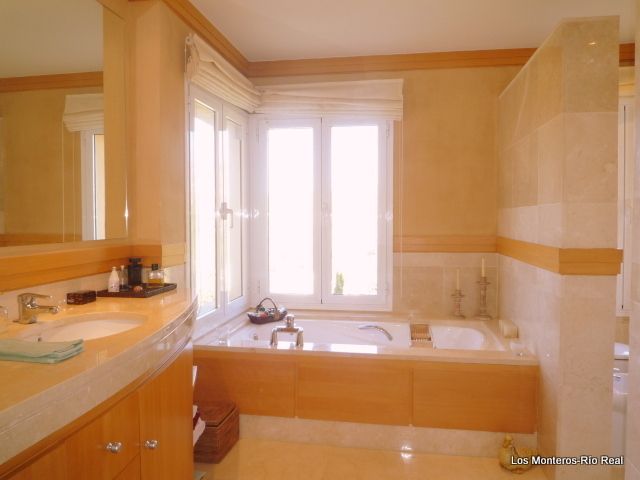 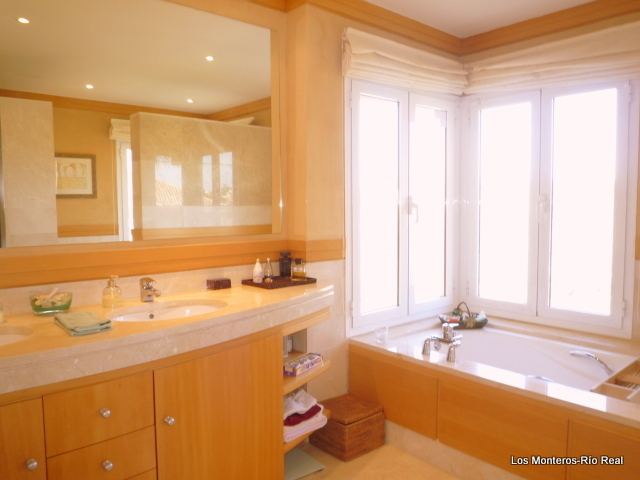 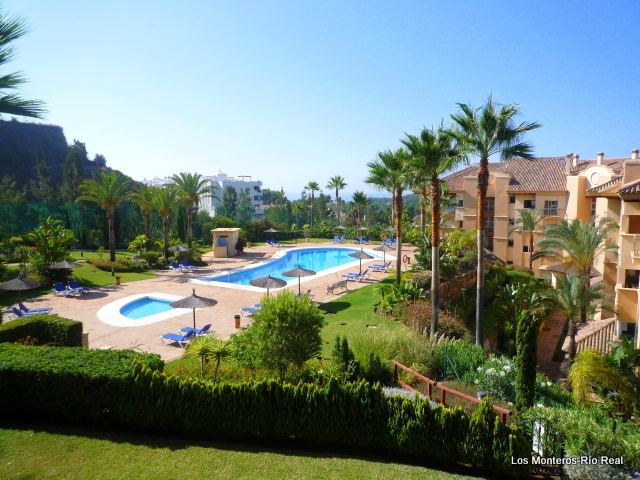 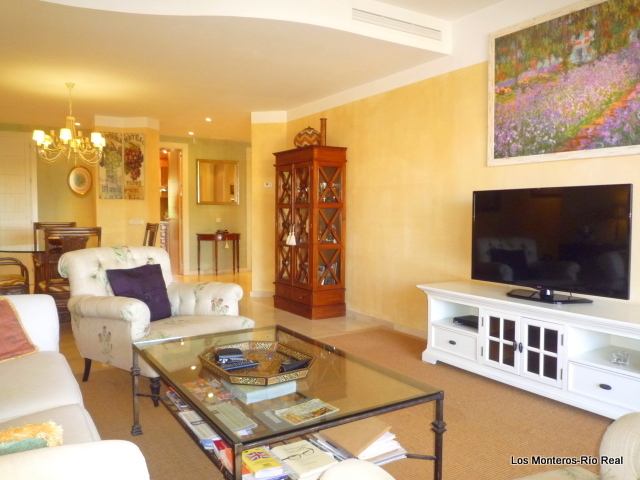 This lovely home has beautiful top quality finishes throughout, including electric blinds and terrace canopy, 2 storage space one large enough to keep you buggy, one car garage, beautiful landscape garden with a large pool in one of the top residential gated communities in the area, LOS MONTEROS. 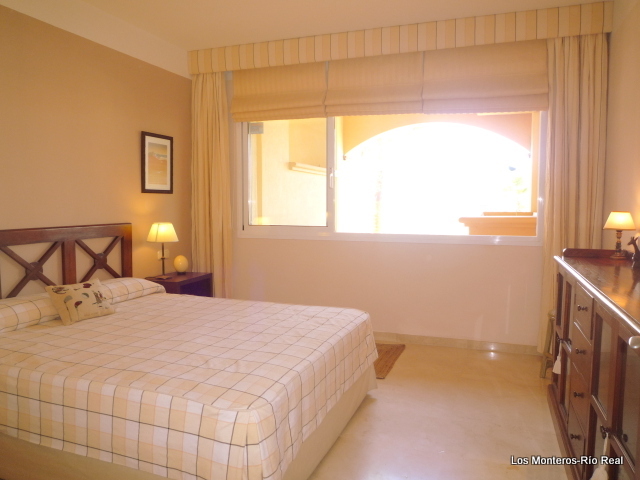 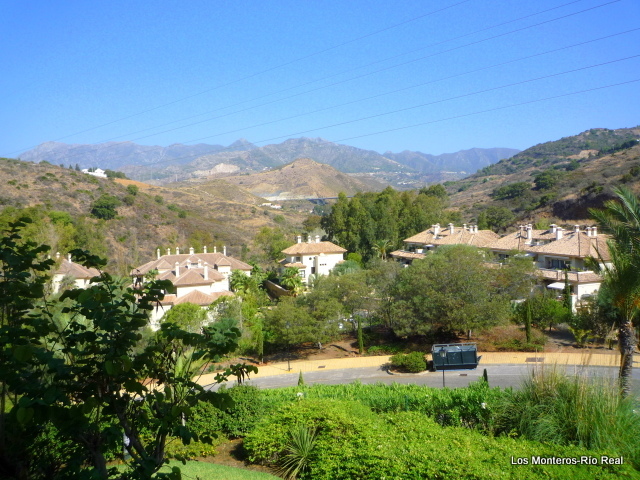 Located only 3 kms to the center of town and 1.5 kms to the beach, in the area of Golf Rio Real. 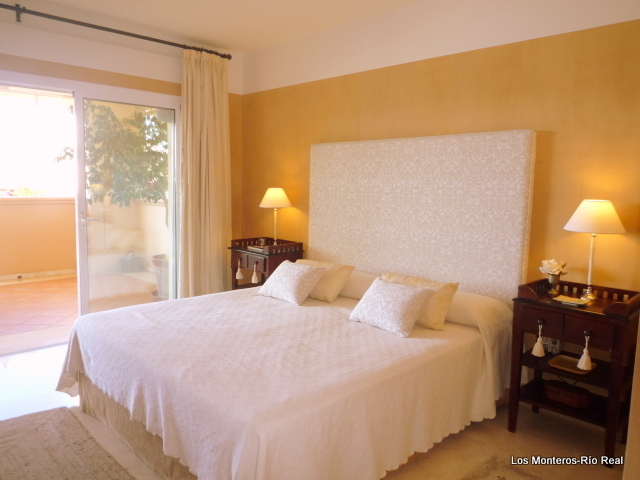 Common charges: 3,600E PER YEAR.